Summer Plant Shutdowns: Let's Set A Date! Plant shutdowns are a necessity for manufacturing facilities. It is a time to do the work that cannot be performed during normal business operations. For facilities, scheduled shutdowns are necessary to maintain plants and equipment. There is also a loss of revenue and a loss of production during the plant shutdown. The results of the shutdown include: aesthetic improvements, less equipment failures, increased facility compliance with governing agencies (safety, OSHA, USDA) and improved production integrity. The shutdown is usually short and intense for all parties involved in the work. Get QuestMark on your summer schedule for flooring work! All facility managers should work closely with their vendors to ensure a successful plant shutdown experience. At QuestMark, we have a 46-year history of Lessons Learned during plant shutdowns. Get us involved early in the project when you are scheduling flooring work. Let us support you and help create a plan of action. Our experienced Project Managers will review the steps of the shutdown and the scope of work (SOW) and help you execute the plan. Phase 1: Determine what you want to accomplish during your shutdown. Planning, planning, planning. Start planning for your next shutdown as soon as the last shutdown is complete. Prepare a list of items and prioritize - knowing that all items may not be completed. Share your list with your team at the plant and with all your vendors and suppliers. Have a back-up plan for problems: power outages, parts on back order, breaking pieces, weather and things beyond your control. Contingency plans are just as important as the primary plan. Communication is the key to success. Everyone needs to know the schedule for the plant shutdown and the specific impact to their respective areas. Representatives from each department should be at the planning meetings. If you have vendors coming in to do work, make sure they are also at the planning meetings that pertain to their specific areas of work and the departments they will be working with during the shutdown. 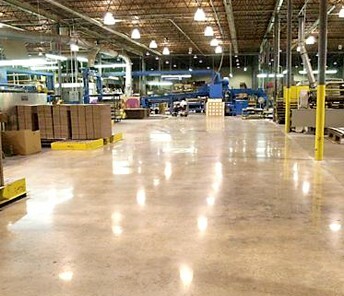 Pre-planning is like floor preparation for epoxies...it is THE SINGLE MOST IMPORTANT STEP. The last thing you need to hear from a vendor or supplier is that they will not be ready or a part was never ordered or a PO (Purchase Order) was not generated. Dot your "I's" and cross your "T's" throughout the purchasing process. During the Planning Phase (Phase 1), identify the parts, processes, systems, services and vendors that you will need for each step of your shutdown. Identify the owners who are responsible for each process - Department Head, Procurement Group, Facility Manager or Maintenance Manager. Make sure that everyone is clear on their role, responsibility and deadline. Follow-up to ensure tasks are completed. Otherwise, you are vulnerable to surprises during your shutdown and, at that point, it may be too late. At this point, you know what you want to accomplish. Assignments have been made and schedules and deadlines have been set. Vendors have been coordinated and materials have been ordered. Now, it's time to execute the plan. The best way to execute the plan is to have a final meeting with all vendors, suppliers, departments and company staff that will be managing the shutdown. Do this BEFORE the actual date of closure to make sure that all parties know what their roles are and when they are expected to execute their tasks. This level of communication and planning will help to ensure you get the most return from your shutdown. White Roof or Black Roof? Why does QuestMark need safety?